In two days there have been three landmark verdicts, two from the Supreme Court and one from the Allahabad High Court. 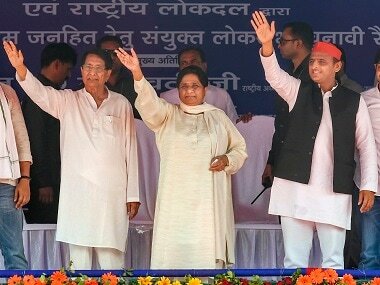 The issues they dealt with – the disqualification of convicted MPs & MLA, barring candidates from contesting elections from jail (under trials included) and a ban on caste based rallies in the state of Uttar Pradesh - are moves that mainstream political parties should have thought about themselves and the government could have brought about through electoral reforms. Leaders of all political parties are deeply uncomfortable with the two orders of the Supreme Court and have raise various points regarding the merits of the judgement, but in view of popular sentiment they are maintaining a rather restrained stance in public. They also quick to make a distinction between the two verdicts of the Supreme Court and the one delivered by the High Court. In connection with the disqualification of legislators if convicted, the Union Government already proposes to seek a review before a larger constitutional bench of the Supreme Court. It might do the same for the bar on preventing candidates from contesting while in jail. 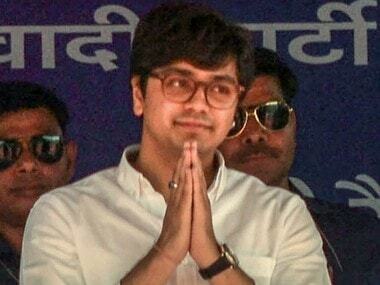 Curiously enough, the biggest proponents of caste politics and caste-based rallies, the Bahujan Samaj Party (BSP) and Samajwadi Party (SP), have promptly come forward to welcome the verdict banning such rallies in the future. The two Supreme Court verdicts should mean that when the next Parliamentary elections are held, possibly in next eight-nine months, political parties will be wiser in choosing candidates. Among the notable parliamentarians who have been in jail over the past year include Suresh Kalmadi, Madhu Koda, A Raja and Kanimozhi. The previous session of the Lok Sabha saw RJD MP Mohammad Shahabuddin and independent MP from Bihar Pappu Yadav, though convicted in separate cases for murder, were shifted from a Bihar jail to the Tihar Jail to participate in Parliament proceedings after securing permission from courts. Pappu Yadav has since been acquitted by a High Court, but an appeal against that order is pending in Supreme Court. According to study done by the National Election Watch and Association of Democratic Reforms, out of 543 Lok Sabha MPs, 162 have criminal cases pending against them, with 75 facing serious criminal charges. Under the circumstances, the decision of the Supreme Court takes on Lalu Prasad Yadav’s appeal in fodder case and the subsequent judgment of the CBI trial court in Ranchi, will now be interesting to follow. The Allahabad High Court’s verdict imposing a ban on caste-based rallies by various political parties is also on that will have a lasting impact, even though it will impact only Uttar Pradesh for now. 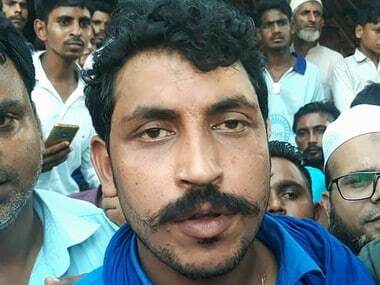 The menace of caste politics has been most rampant in the state and it was gaining a vulgar momentum as the parliamentary elections drew closer. Mobilisation of voters in name of caste has for long been considered to be a one-stop solution for not letting issues of governance, law and order, livelihood and delivery of basic civic amenities for human dignity not being discussed as electoral issues. In 2007, BSP leader Mayawati put together a successful rainbow coalition of Brahmins, Dalits and segments of most backward castes to win an absolute majority, something that had eluded most parties in the state since 1992. She could manage inner caste conflicts, so dominant upper castes shifted their support to Mulayam Singh Yadav. The competitive caste politics was getting worse since April-May this year, when the perception was high that early polls was possible. Mayawati knew that she had further angered the upper castes with her belligerent push for reservations in promotions for Schedule Castes employed with the government. Her solution to win back the Brahmins in particular, was the organization of around three dozen Brahmin Bhaichara rallies, the grand finale of which held on last Sunday. 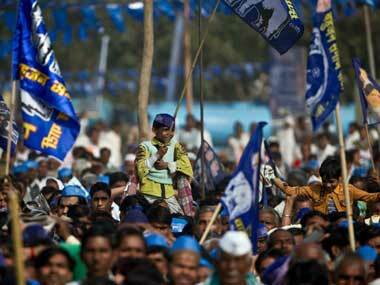 Caste identities are openly flaunted in these rallies and rivals castes are called all sorts of names. Caste enmity is overtly promoted. She promised more such rallies for Muslims, Mauryas, Kushwaha and other castes. 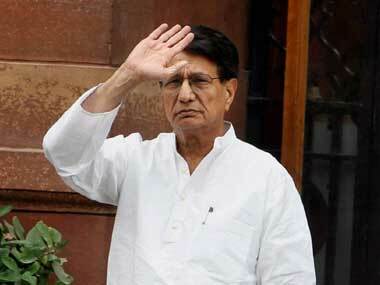 The Samajwadi Party responded with equal ferocity, matching every caste rally with one of their own. On 12 May, on the birth anniversary of a great mythological Brahmin warrior, it organised a rally for Brahmins. It hoped to gain the support of Brahmins and other upper caste communities, since it was only party to have opposed and prevented the Mayawati-sponsored reservation in promotions from being passed in Parliament. However, since it was matter of competitive politics, caste rallies or conclaves of all kinds, both under the party banner and by individual leaders were organised. Minorities were specially wooed. Among the Muslims, Pasmanda (lower caste) were the centre of attention. The Pasmanda caste has been a part of political flavour since Bihar chief minister Nitish Kumar wooed them. However, the High Court's verdict may stop caste-based rallies but wouldn't in any way check well entrenched caste politics in the state. Tickets will still be distributed on the basis of caste identities, but the blatant manner in which parties were shouting from decorated podiums, running down or even abusing other castes will come to an end. Mayawati will be thanking her stars that the verdict came after Sunday, when she shed some tears for Brahmins. The petitioner in the case Motilal Yadav, a local lawyer who filed the PIL, shall ever be remembered in the state for his contribution.